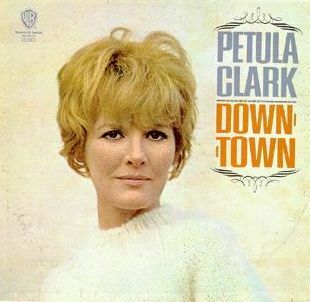 1965, “Downtown” by Petula Clark was at number one on the US singles chart. A young Jimmy Page had played as a session guitarist on the track, giving him his first US number one hit, as well as a number two hit in the UK. 1965, during a Rolling Stones tour of Australia and New Zealand, guitarist Keith Richards had his shirt torn off after 50 fans invaded the stage during the gig at The Town Hall in Brisbane. 1966, The Who played at the Locarno Ballroom in Stevenage, Hertfordshire, England. 1967, Jack Newfield’s article “Brecht of the Jukebox, Poet of the Electric Guitar,” about Bob Dylan, was published in the Village Voice today. 1968, Pink Floyd played in the Old Refractory, at the Student’s Union at Southampton University, Highfield, Southampton, England. Also on the bill was Tyrannosaurus Rex and The Incredible String Band. Members of Floyd decided not to pick up Syd Barrett on the way to the show due to his ongoing troubles and a mere two weeks after David Gilmour officially became a member of the band. That was the end of Syd Barrett as part of Pink Floyd. 1969, Led Zeppelin played the last of three nights at Boston Tea Party in Boston. 1970, Elvis Presley played the first night of a four-week engagement playing 2 shows every night at The International Hotel in Las Vegas. 1970, The Who play the Stadt Opera House in Cologne, Germany. Their $2500 salary for the two nights is donated to the Save The Children Fund and the taxes on their shows are also excused as the German government declares The Who to be a “cultural attraction.” Both German President Heinemann and Chancellor Willie Brandt attend the show and visit The Who backstage afterwards. 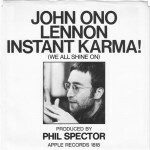 1970, John Lennon wrote, recorded and mixed his new single “Instant Karma” all in one day. 1971, Elvis Presley played the first night of a 31-date run at The Hilton Hotel in Las Vegas. Elvis played a 8:30 pm and midnight shows on most days. 1972, Hawkwind played at the Rex Ballroom, Bognor, Regis, England. 1973, John Entwistle and his new solo band Rigor Mortis release the single “Made In Japan” backed with “Hound Dog” in the UK. The launch party is held in a Japanese steak house in Soho. The single fails to chart. 1974, Genesis appeared at the Forest National, Brussels, Belgium. 1975, In Austin, Texas, Bob Dylan makes a surprise guest appearance at a Joni Mitchell concert. 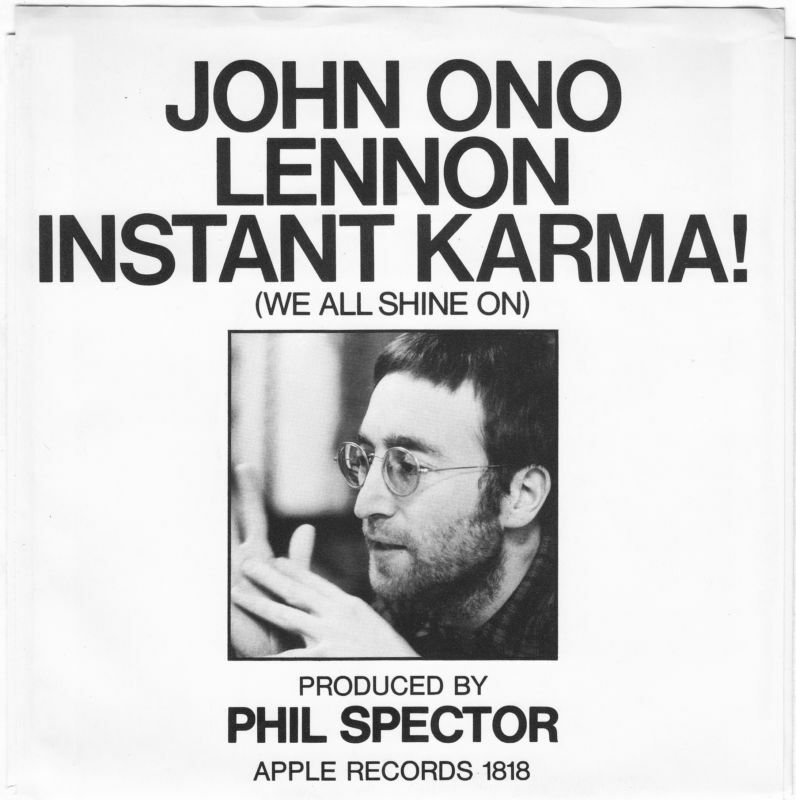 1976, The Beatles’ nine-year contract with EMI expires. 1977, former Fleetwood Mac guitarist Peter Green was committed to a mental hospital following an incident when he threatened his accountant Clifford Adams with an air rifle when he was trying to deliver a £30,000 ($51,000) royalty check to him. 1978, Rush played at the MECCA Arena, Milwaukee, Wisconsin. 1980, Prince made his TV debut on American Bandstand. 1984, Blue Oyster Cult performed at Friedrich Ebert Halle, Ludwigshafen, Germany. 1986, Allen Collins, guitarist from Lynyrd Skynyrd crashed his car, paralyzing him from the waist down and killing his girlfriend Debra Jean Watts. Collins had survived the infamous plane crash in 1977 that killed singer Ronnie Van Zant, guitarist Steve Gaines, vocalist Cassie Gaines, and assistant road manager Dean Kilpatrick. 1989, Bon Jovi kicked of the North American leg of their New Jersey Syndicate Tour at the Reunion Arena in Dallas, Texas. 1991, Queen had their second UK number one with “Innuendo.” At 6 minutes 30 seconds, it exceeded their epic “Bohemian Rhapsody” by 35 seconds and became the third longest UK number song of all time, behind The Beatles’ “Hey Jude” and Simple Minds’ “Belfast Child,” At a later date, “All Around The World” by Oasis, at 9 minutes 38 seconds took over the top slot and demoted “Innuendo” to fourth place). For ‘Innuendo’s’ flamenco guitar solo, Brian May was joined by Yes guitarist Steve Howe. 1993, The Grateful Dead appeared at the Oakland-Alemeda County Coliseum in Oakland, California. 2003, Justin Timberlake went to number one on the UK album chart with his debut solo album Justified, which went on to spend over a year on the UK charts. 2007, The Rolling Stones topped the US music rich list for the second year running after making $150.6 million (£76.2m) in 2006. Tim McGraw and Faith Hill were second in the poll with a combined fortune of $132m (£67.2m) and American country band Rascal Flatts appeared third, having earned $110.5m (£56.2m) in the past year. 2008, Alicia Keys was at number one on the US album chart with her third album As I Am. The album sold over 742,000 copies in its first week, the largest ever first week sales for any female R&B artist.